Continuing with our special Camping feature this week, we’ve gathered a delicious collection of burger recipes that are so unlike your traditional burgers. You’ve probably never thought of a lot of these combinations before but I’m sure you’re going to want to try all of these recipes soon! There are plenty of recipes here that are perfect for a summer party, a non-traditional camping meal or just a delicious supper at home. This is a collection of recipes from other bloggers and experts in the kitchen. To view the full recipe for each, simply click on the titles of the recipes and they’ll open up in new windows for you. 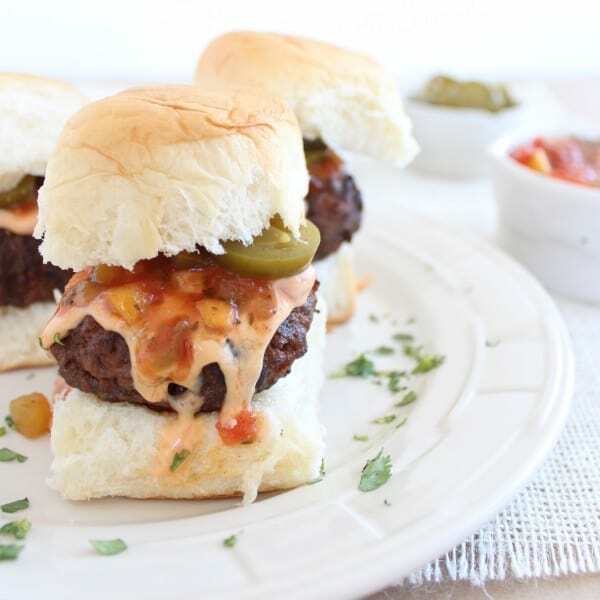 These Peppercorn-Crusted BBQ Ranch Burgers with Chili-Lime Crunchies (pictured above) by Iowa Girl Eats have a long name but they look so delicious! This is sure to be a hit at your summer BBQ celebration. 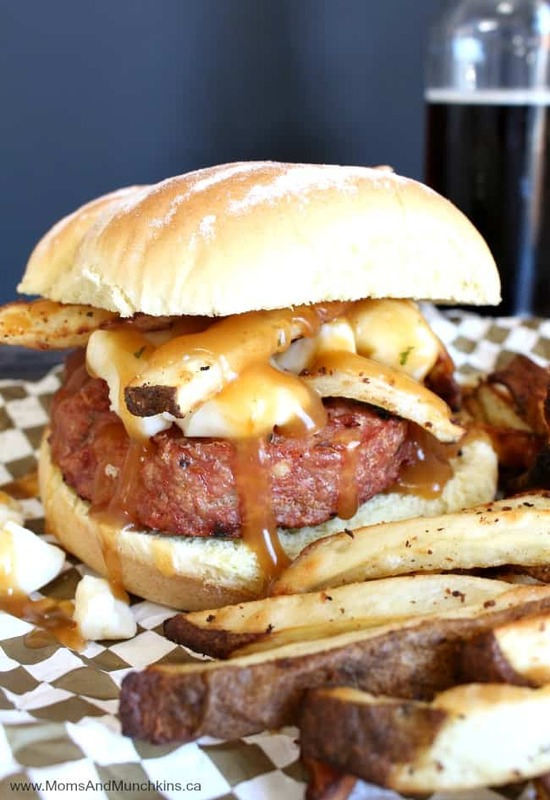 This recipe is truly Canadian – Chicken Poutine Burgers! Grab extra napkins for this one! 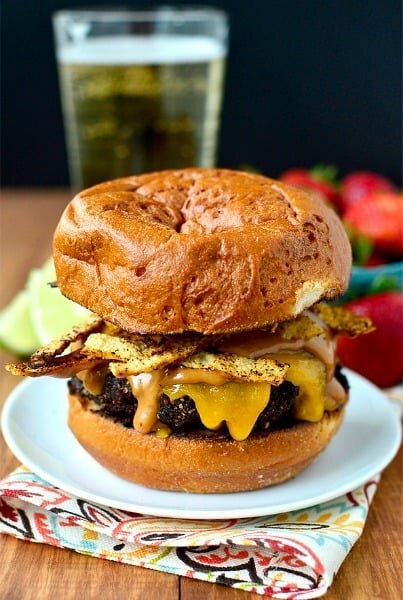 This Barbecue Bacon Cheeseburger by Tastes of Lizzy T looks delicious! I love the addition of the fried onions on top. We cook with peppers several days a week and love adding them to almost any meal. I know these Sausage & Pepper Burgers by Inspiration Kitchen would become a new favorite recipe around here. 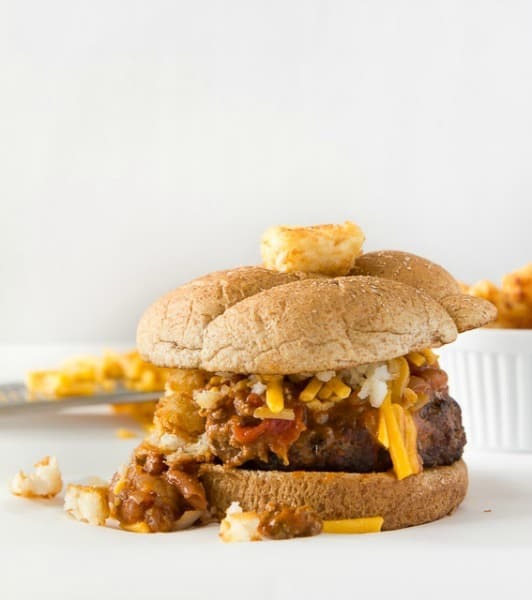 This Chili Cheese Tot Burger by A Zesty Bite looks like it would be messy to eat but worth every napkin! 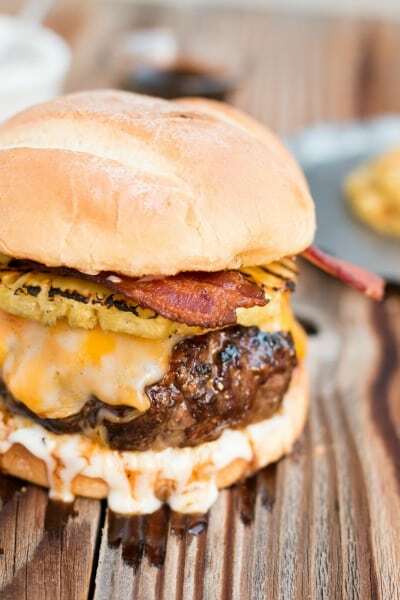 Oh boy, when my husband sees this Teriyaki Pina Colada Burger by Oh, Sweet Basil, I know he’s going to want to run out to buy the ingredients to make it. 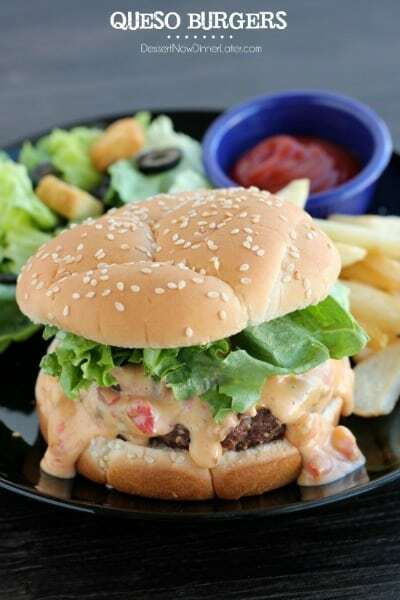 I love queso so I know I’d love these flavorful Queso Burgers by Dessert Now Dinner Later. Anything with “taco” in the recipe title is a hit around here! These Taco Burgers by Annie’s Noms look yummy! I love crunchy toppings on burgers. 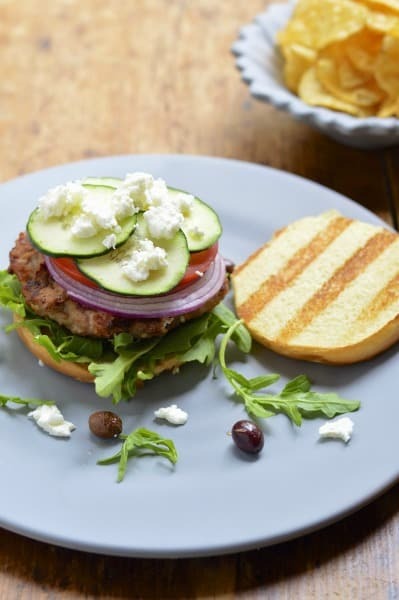 These Grilled Greek Turkey Burgers by Virtually Homemade look so tasty & healthy! I love Greek food and I could never have enough Feta. With the words “chorizo” and “nacho” together in a recipe, I know this is one I’d love! 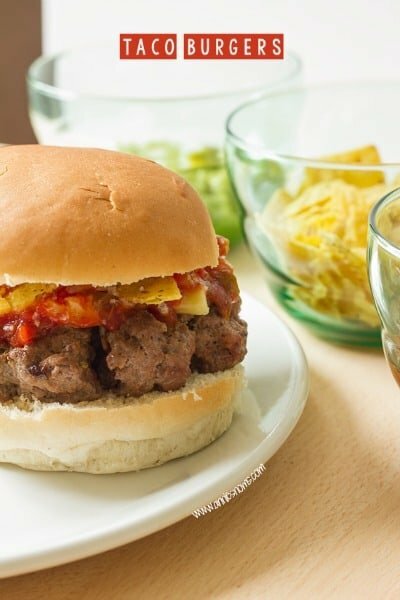 This Beef and Chorizo Nacho Burger Slider recipe by Little Leopard Book will be on our summer BBQ menu. I love jalapeno poppers but I’ve never tried to make them myself before. 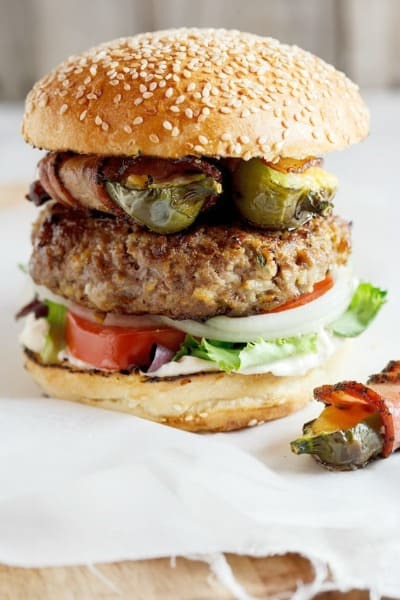 This Jalapeno Popper Burger by Simply Delicious looks so good! Packed full of flavor and perfect for a summer BBQ party. We’re always adding new ideas for recipes and family fun. Never miss a delicious update by following us on Facebook, Twitter, Pinterest, Google + and Bloglovin’. 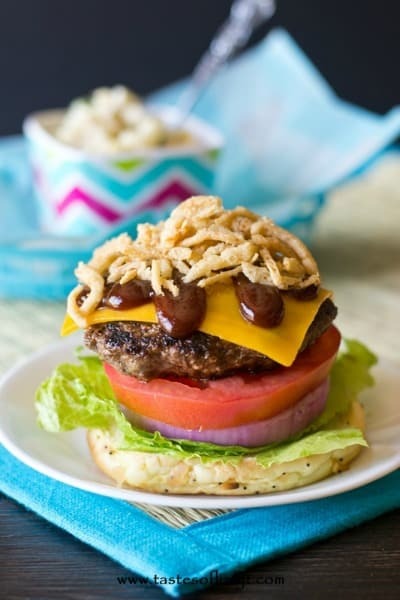 Wow – these burger recipes are making me hungry! I am loving the Nacho Slider Burgers! 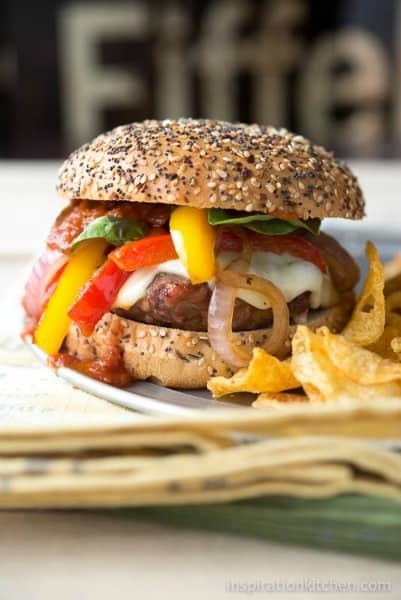 And, thank you for featuring my Sausage & Peppers Burger! Yum! These all look do delicious! I can’t wait to give them a try! I especially want the question burger or the chili cheese tot burger.